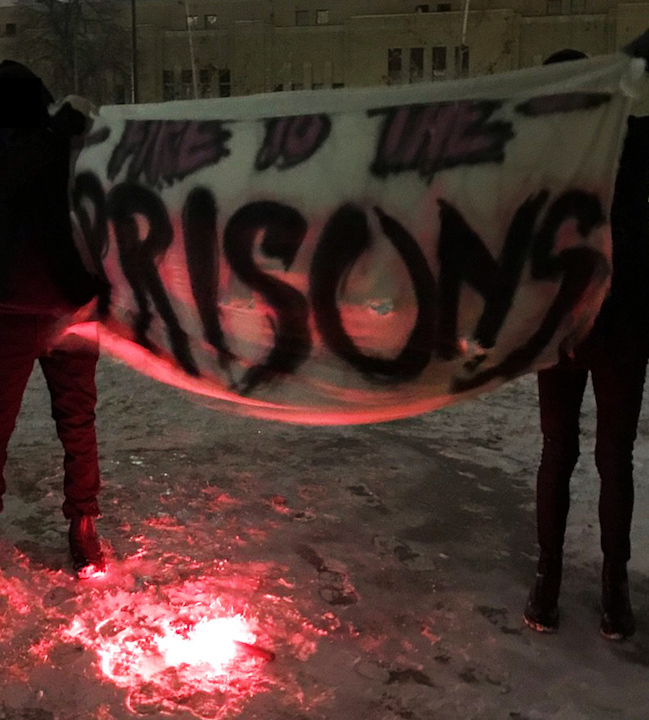 On December 22, a small, but spirited, gilets jaunes (or yellow vests) demonstration took place outside of the Alliance Française of Minneapolis/St Paul, which acts as an honorary consulate where there is otherwise none located in the state. 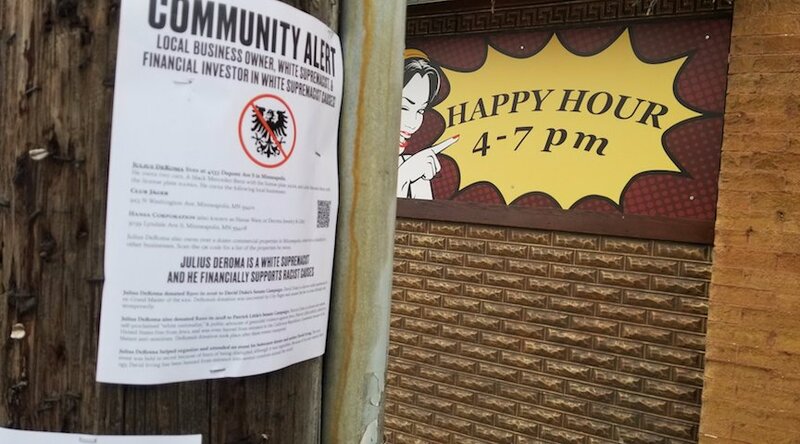 MINNEAPOLIS, Minn. — Over the weekend of December 8th, flyers were posted at multiple locations in Minneapolis warning of the presence of white supremacist landlord Julius DeRoma. DeRoma owns multiple businesses in the city and is landlord to many more. His businesses include Club Jäger in the North Loop and DeRoma Art Glass in Lyn-Lake. 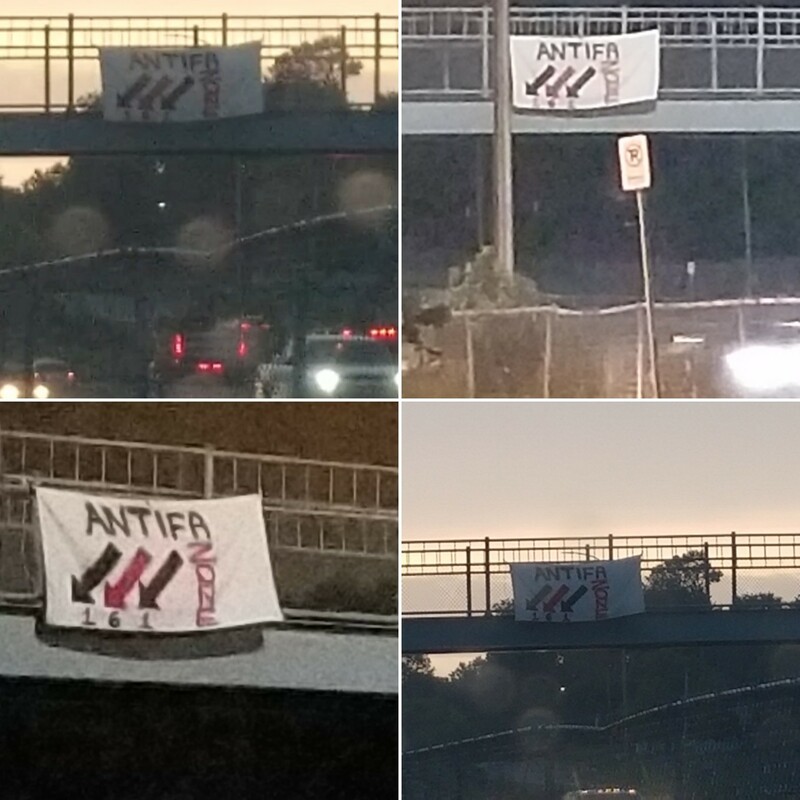 Flyers were posted at these locations, along with DeRoma’s house in southwest Minneapolis. 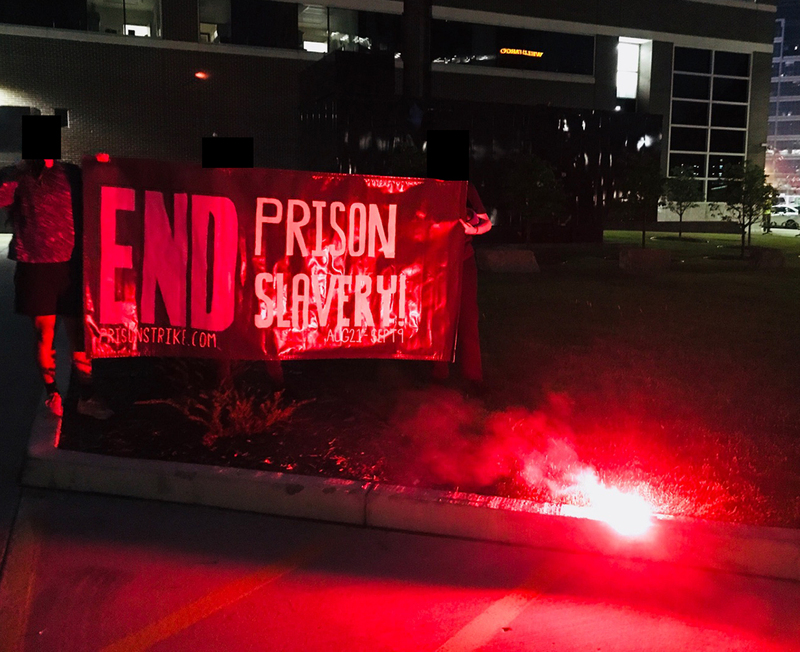 Pictures are includedabove and below. 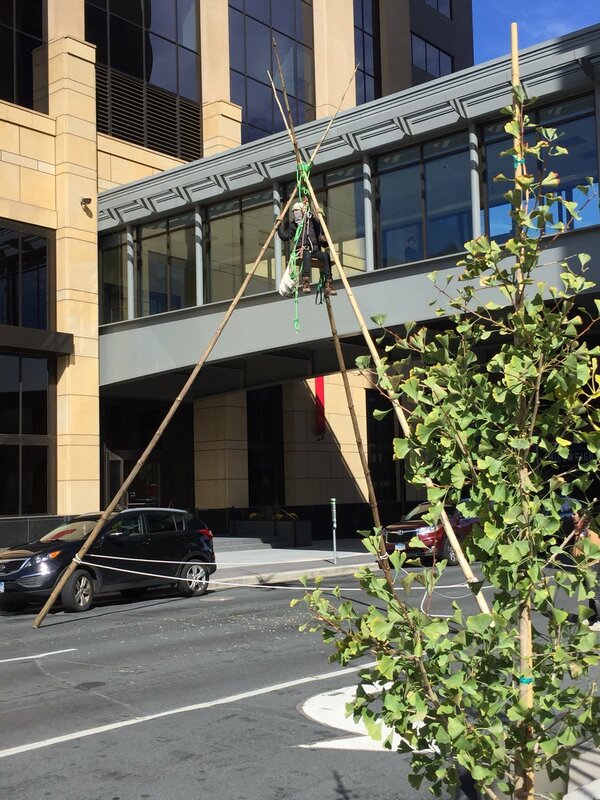 Minneapolis, MN- On Thursday Morning, October 4, water protectors erected a tripod and tipi in front of the Wells Fargo building in protest of an upcoming $1.48 billion dollar credit renewal to Canadian-based Enbridge, Inc. Enbridge is behind Line 3, a nearly 1M barrel per day tar sands pipeline it wants to send through Anishinaabe treaty territories, the Mississippi River headwaters, wetlands, and the Great Lakes. 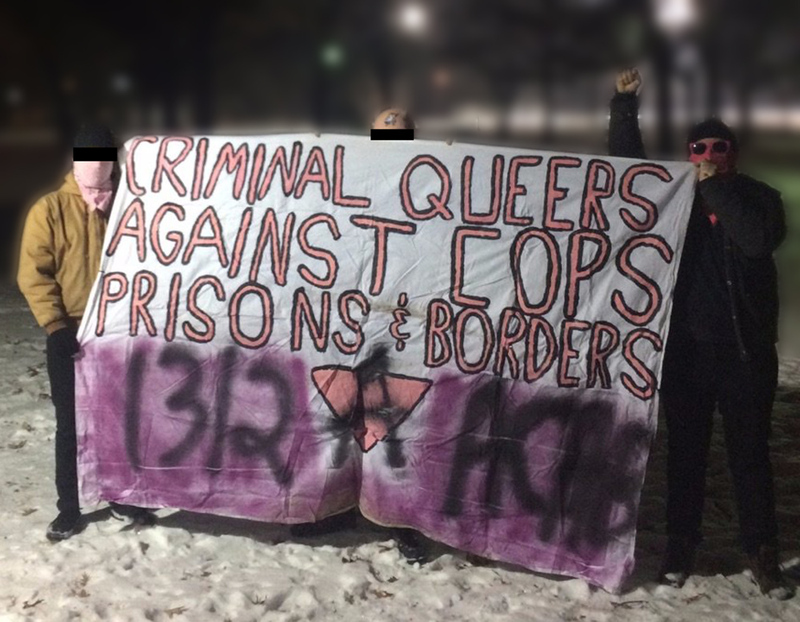 Stonewall was a riot. 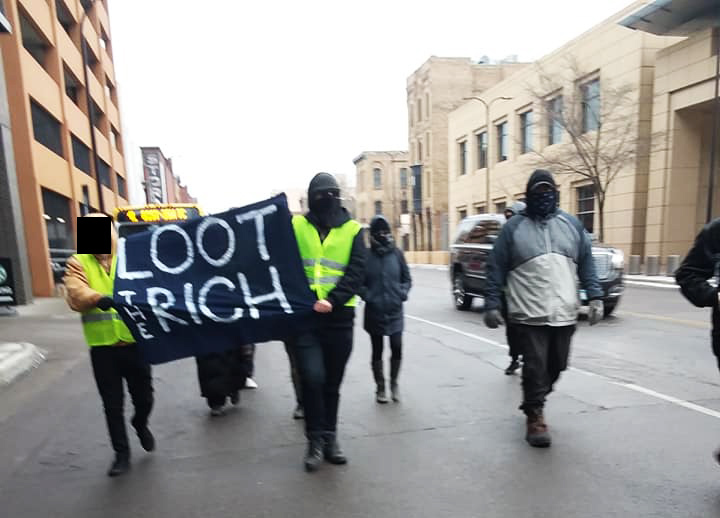 The chant echoed off the buildings lining Hennepin Ave in downtown Minneapolis as we marched. 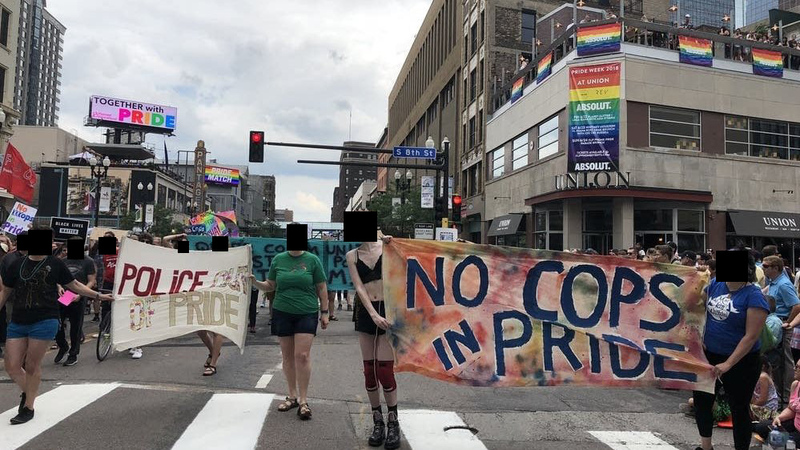 The sidewalks were filled with thousands of onlookers, expecting to see the annual Pride parade, but instead they saw us. 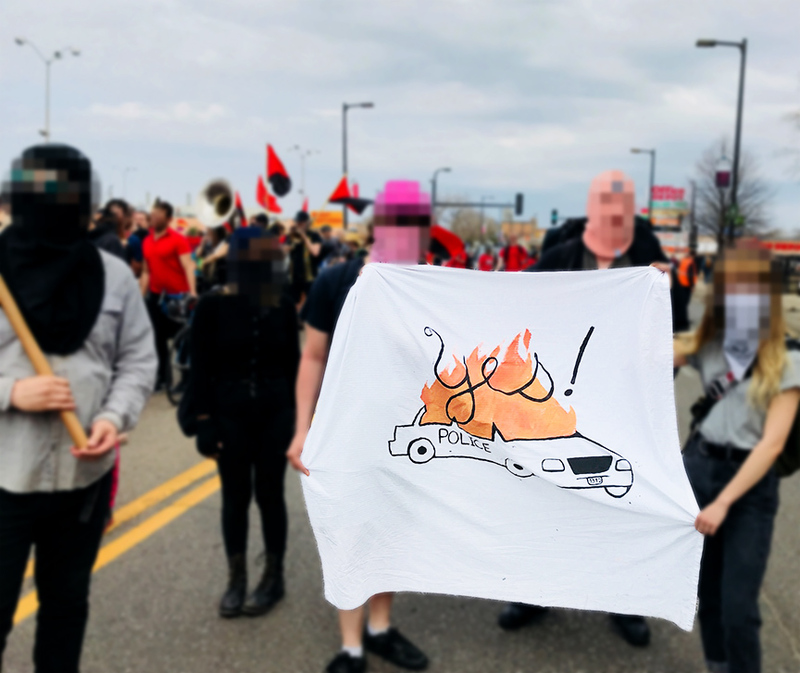 Minneapolis: This year, a few of us decided that even if we didn’t have much of a plan for May Day, that we were none-the-less determined to have a presence at the May Day march on May 1st, which for as long as people can remember of the recent years has been dominated by leftist organizations like the Freedom Road Socialist Organization/FRSO (a soft Maoist sect), their front groups and others who willingly play along with this sad circus. 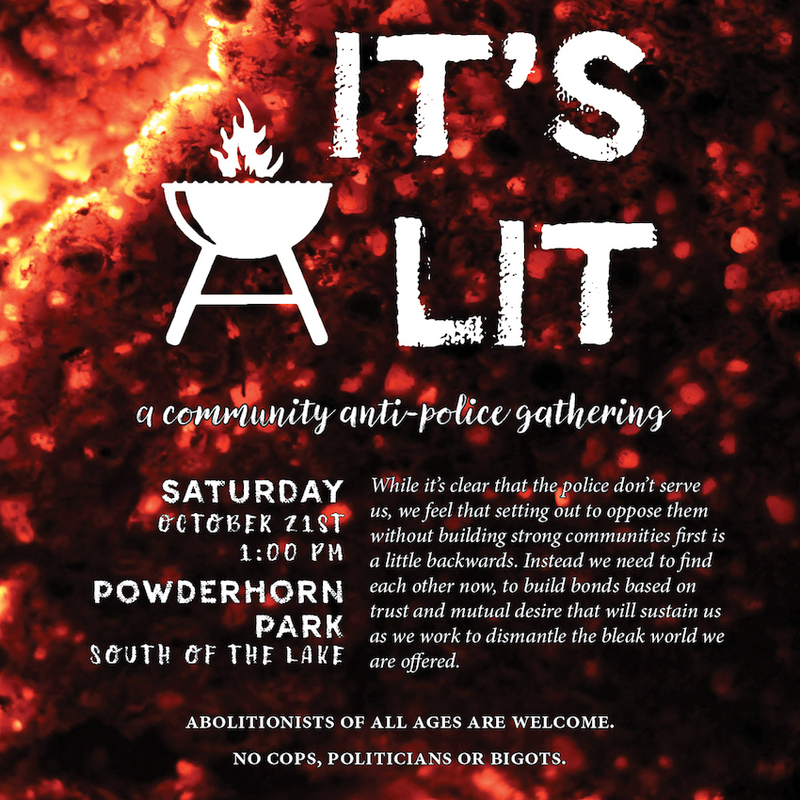 On October 21, a Community Anti-Police Gathering takes place at Powderhorn Park, Minneapolis (Minnesota, USA).